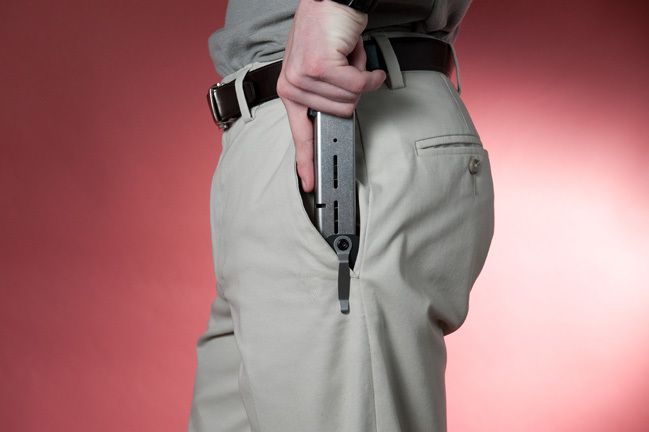 SNAG MAG IS A PATENT-PENDING INNOVATIVE NEW MAGAZINE HOLSTER THAT DISCREETLY AND COMFORTABLY ALLOWS YOU TO CARRY AN EXTRA MAGAZINE WITH YOUR CONCEALED CARRY WEAPON. FOR MORE INFORMATION ON THIS UNIQUE CARRY METHOD WATCH THE SNAG MAG VIDEO PRODUCED BY ONE OF OUR PARTNERS BELOW. TO ORDER A SNAG MAG FOR YOU HANDGUN FIRST SEE IF WE OFFER YOUR MODEL FROM ONE(1) OF THE THREE(3) HANDGUN LISTS BELOW.